Public Relations can be defined as a strategic communication process that is mutually beneficial to both consumers and businesses. There is a common misconception that public relations are the same as marketing; marketing involves promoting and advertising a product or service whereas public relations involves communicating with your consumers in order to build a relationship. Another misconception is that having good public relations is inexpensive and easy to do. Maintaining good public relations is a very time consuming process, which is why many businesses have their own PR department as other people are too busy to undertake tasks such as responding to people on social media and answering any questions that people may have. 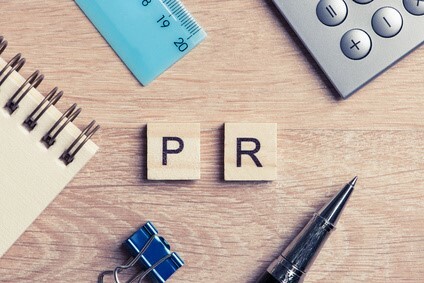 Although PR is not the same as marketing it is still a very useful tool for promoting your business. First and foremost, having an open line of communication with your consumers allows you to see what their opinions are and what they need. The most common form of this communication comes through social media, where consumers will post questions or file complaints about the product or service you are offering. By having a person or team that can respond to these questions and complaints you build up a good reputation and respect from the consumer, as they will feel that their opinion is valued and that you are changing your business thanks to them. Public Relations can also be improved by other methods than interacting with consumers. Another way to improve public relations would be to do something that is portrayed in a positive light by the media. An example of this would be to do things that are considered charitable or ethical, such as sourcing your products from locations that don’t exploit the local workforce/environment or by running or supporting charitable events. The media then may pick up on this work and write an article or run a news story about it. This is in a sense even better than advertising as your business is being supported by the media who are generally considered not to be bias and so when consumers see an unbiased organisation supporting a business they will be much more likely to believe that you are a reputable company and so you will be more likely to gain the consumers respect and sometimes even gain their business than by just advertising your product, highlighting the importance of good public relations. When consumers see your business in a good light they will be more likely to return as customers again than go to a competitor as they feel that they are more valued at your business. They will also be more likely to recommend you to other people as again, they see you in a good light and so will actually like you as a company. This then, means that having good PR can increase the amount of both repeat customers and new customers that you get, as if people like your company they will in essence advertise for you since they will recommend your business. Public Relations therefore are a key way to promote your business, allowing you to gain the respect and loyalty of your consumers as well as having them in essence advertise for you as they promote your business through recommendations and word of mouth. Gaining the respect of the media can sometimes even be better than advertising itself as having an unbiased organisation highlight the positive things about your business will lead to more respect and potentially more business from consumers than advertising alone could hope to do. For more information, visit: Vantage PR.